Have you been looking for a budget-friendly social media management tool which lets you manage social media accounts using a single dashboard? 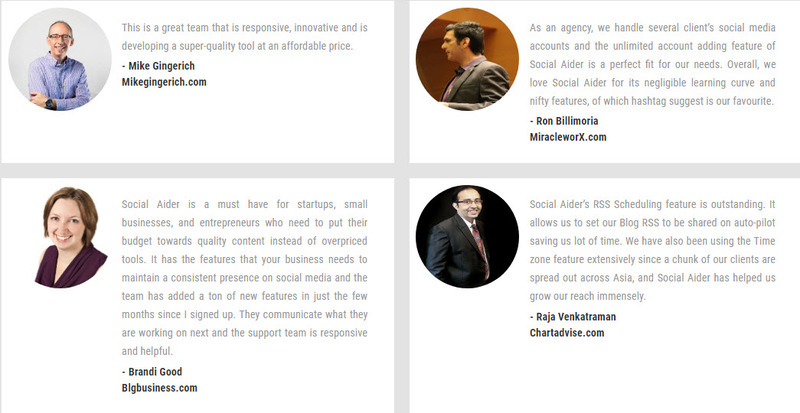 If yes, you can consider this cost-effective social media scheduling tool called Social Aider. 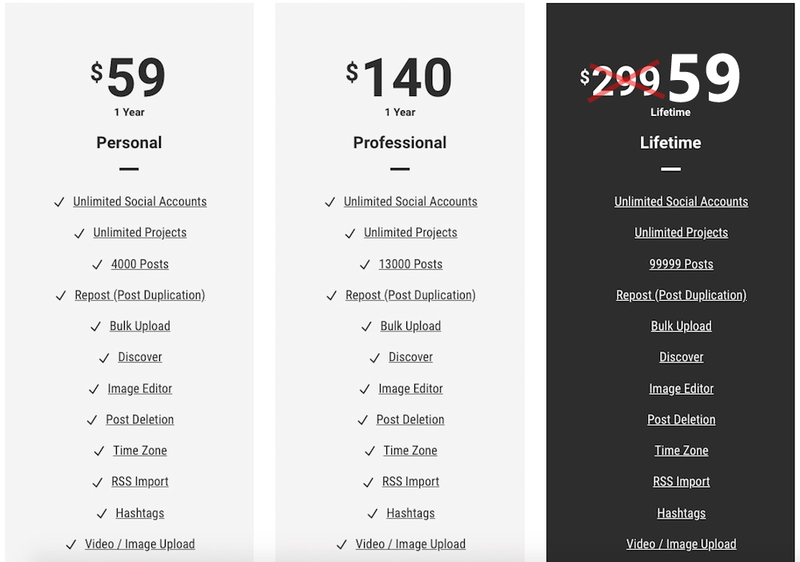 Add & manage an unlimited number of social media profiles/pages/projects for no extra charges. No limitations on the posts, so you can schedule Unlimited Posts. Time-zone feature lets you schedule posts according to different time zones. Schedule many posts at once using Bulk Schedule. Pull RSS Feeds of your favorite blogs, etc. and schedule them all at once. Use Image Editor to edit and enhance pictures. Find new content using the Discover feature. Social Aider is a social media scheduling tool that can upgrade your social media presence. Whether you manage personal multiple accounts or accounts and pages for clients, Social Aider can help you get organized by scheduling pre-planned posts. Social Aider assists you to manage your social media accounts from various social media platforms using a single dashboard. 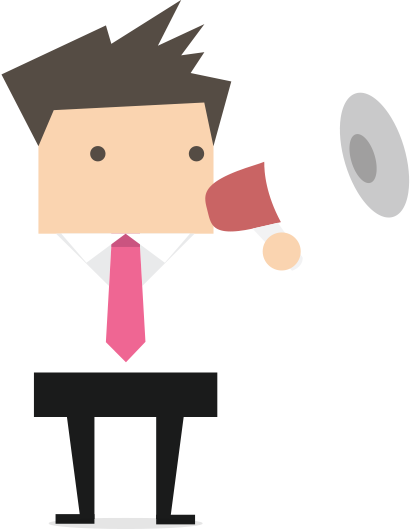 It allows you to get your content ready in advance and then just schedule. You can even line up a month’s worth of content. And get real-time notifications about your posts. 1. Schedule: Social Aider enables users to schedule posts across various social Media for up to hundred years in advance. Also, you can schedule your social media posts concurrently on Facebook, Tumblr, Twitter, and LinkedIn, all together. 2. Media Attachment: Social Aider gives the opportunity for the users to add media in the form of Images and videos to their social media posts. Every social media post comes with the option to add an image or video file. The image file could not be exceeding 2MB. And the video file could not exceed 200MB. All the images can be uploaded in jpg & png format only. Therefore, all the videos can be uploaded in .mp4 format only. 3.Posting: Once scheduled the social media posts will be sent out on users behalf to their selected social Media at the time defined by the user. 4.Post Deletion: One click delete – With just a single click you can delete any of your posts which are published in multiple platforms. So don’t worry if you have done a typo or grammar mistake. 5. Re-posting: Just at the client of a button, you can now repost your old post at any moment. You have the option to repost the original post or of course you can edit it before you do. Also, you can schedule your reposts. 6.Bulk Upload: Social Aider enables the users to upload posts in bulk in excel format saving time on scheduling every post separately. Also, you can upload up to 200 social media posts in a single move. 7.RSS Import: All the post schedules with time, date and frequency can import with RSS Feed. Along, Social Aider allows unlimited feeds for all type of accounts. 8.Image Editor: Social aider allows you to edit images with its image editor feature with ease. Moreover, Image Editor has a standard set of function to edit different types of images. 9. Discover: This feature also helps you in discovering new content on the web by utilizing the keyword search. From the search results, Social Aider provides an option to select all posts or select a particular post to schedule at your decision of time and frequency. The Deal comes with lifetime access + unlimited posts + unlimited accounts/profiles. SocialAider will provide lifetime support via email and regular updates. Question:- What do you mean by unlimited social accounts? Unlike other social media tools, we do not put any restrictions on the number of social profiles you can add or post on. You can add as many Facebook, Twitter, LinkedIn profiles as you wish. This means if you have 20 clients, you can add 20 Facebook accounts, 20 Facebook pages, 20 Twitter profiles and so on. There is no limit, so you can handle all your client’s from our dashboard. Question:- What do you mean by unlimited projects? 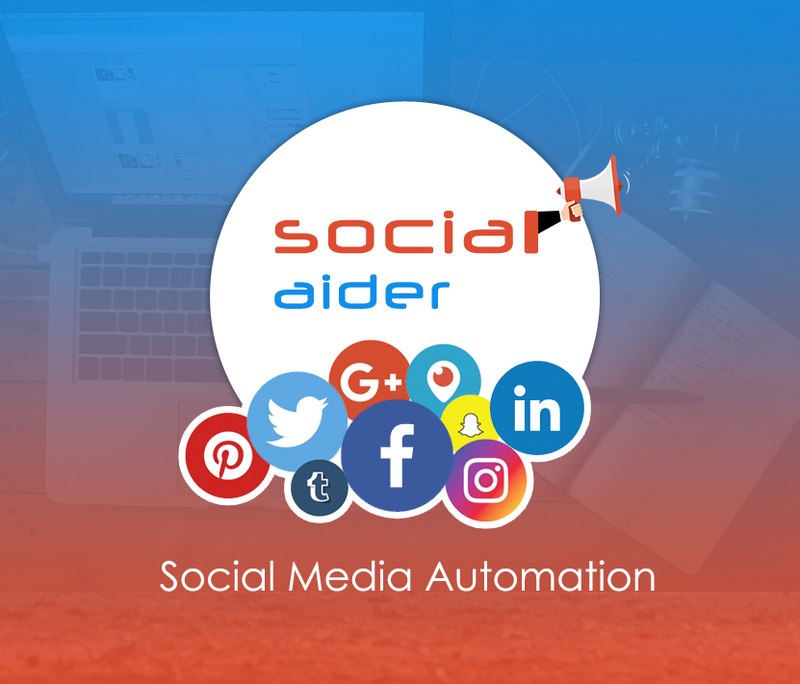 Question:- Social Aider supports how many social media platforms? 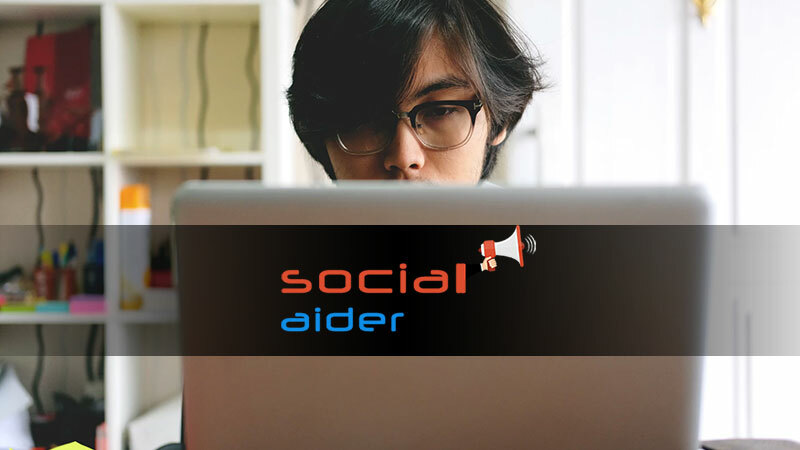 Currently, Social Aider works perfectly fine with Facebook, Instagram, Twitter, Tumblr, and Linkedin. Soon it will support Pinterest and Google My Business in the future updates(All updates are free for Lifetime Deal Users). Question:- Is my data safe with you? Yes, As we do not store any of your social media passwords on our system. Question:- What is 99999 Post? It’s an unlimited post after you finish 99999 posts, all you have to do is, raise a ticket on [email protected] asking to refill post again and your account will be filled again with 99999 posts credits. No extra fee. Inside of this Social Media Scheduling Tool.